With Sunlighten’s Signature I home sauna, you can transform even a small space into a relaxing personal oasis. Solocarbon® heaters deliver the most effectivehighest quality and quantity far infrared heat available on the market, with a design that produces virtually no EMF. A 36-hour programmable timer ensures that your infrared sauna therapy experience is ready whenever you’d like, and a premium Blaupunkt sound system offers AM/FM, CD and MP3 playback, allowing you to create the ultimate relaxation playlist. 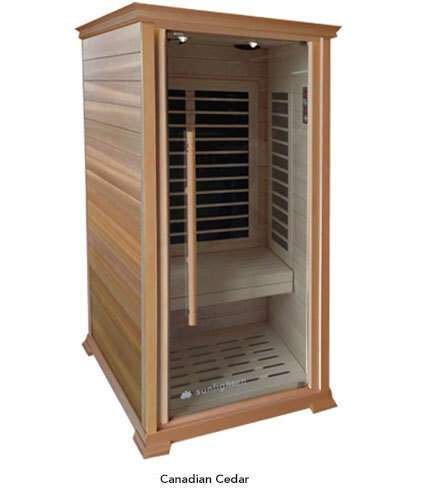 And with 100% quality-controlled manufacturing and two different wood options, you won’t find a more beautiful, therapeutic far infrared sauna.